The presence of excessive water in a concrete mix although may facilitate the easy placement of concrete but it also lowers the quality of the overall product. The damage to concrete structures due to excessive water in a concrete mix is very common and the repercussions due to this are briefly explained in this article. Compressive strength is the major property of hardened concrete and the superfluous quantity of water reduces the compressive strength of concrete. The excess water will not participate in the hydration process and retains in concrete even after hardening. This water will evaporate when exposed to atmosphere and form voids in the concrete. These voids formed are therefore responsible for the reduction of compressive strength of concrete. 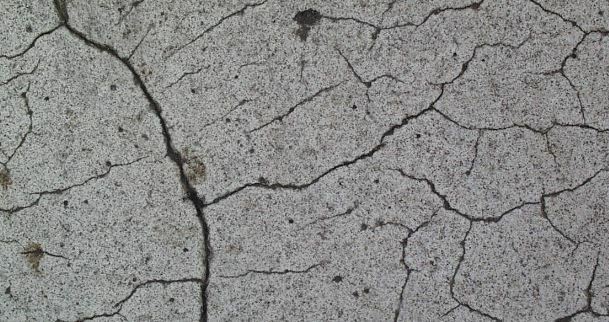 Increase in water-cement ratio increases the drying shrinkage and concrete becomes weaker in tensile strength and as a result, cracks will form on the concrete surface. Abrasive resistance of concrete is directly proportional to its strength. When excessive water increases, the strength of the concrete decreases and therefore, the abrasive resistance also reduces. 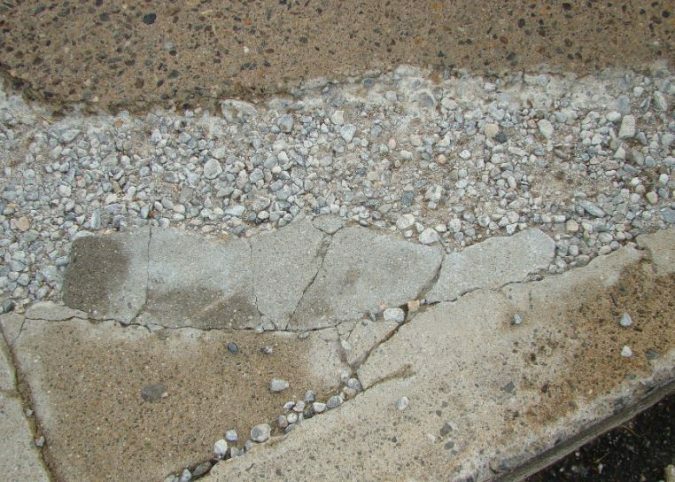 The concrete becomes porous after the evaporation of excess water in hardened concrete. The voids formed will absorb water and make the concrete structure permeable. The excess water in concrete mix brings the fine aggregate to the top, as a result, after hardening- a fine loose powder will settle on the top of the concrete surface. This process is called dusting. Scaling of concrete also occurs due to excess water content in concrete. In this case, the top layer of the hardened concrete surface is removed. It is due to the reaction of water with freeze and thaw effects. The above-explained effects finally lead to a reduction in the durability of concrete. Hence, to make durable concrete, water-cement ratio must be selected properly. Low water-cement ratio helps to get more durable concrete. 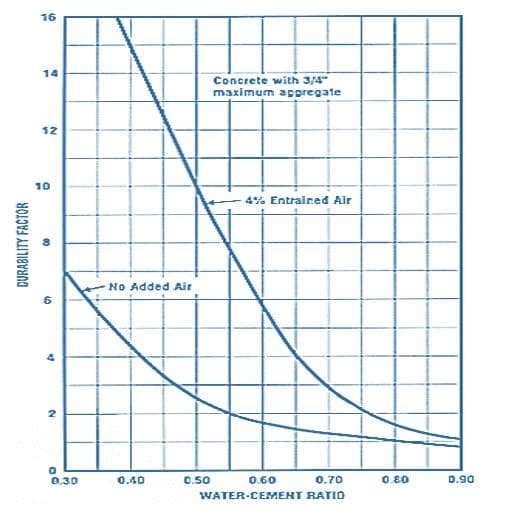 With the addition of air entraining admixtures, the durability can be increased with low water content which is shown in the graph below.